The early flakes of a widespread and disruptive winter storm are already flying across parts of the Plains and the Midwest as a low-pressure system gets its act together and heads east. 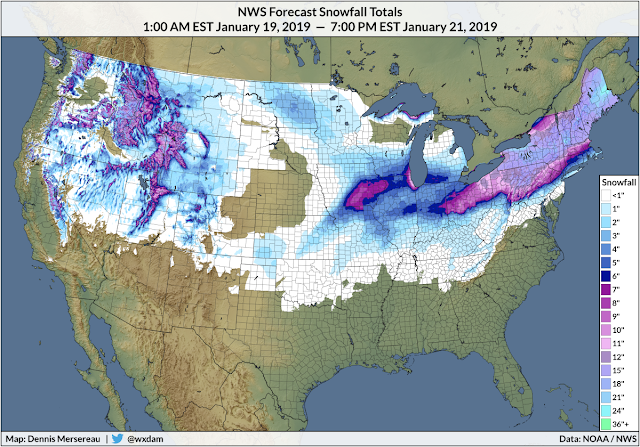 This weekend's winter storm will produce a large swath of snowfall in excess of one foot from the Ohio Valley to New England. Isolated areas just south of the rain/snow cutoff could see a damaging ice storm. Snow, ice, and a chilly rain will continue to develop through early Saturday morning as a low-pressure system gathers organization and strength in the Midwest. Heavy precipitation will spread across the Midwest and Ohio Valley through daybreak on Saturday. The heaviest snow should reach Ohio and Pennsylvania by Saturday evening, spreading through the rest of the Northeast overnight Saturday and into Sunday. This will be a disruptive snowstorm for just about the entire Northeast save for the immediate coastline. The National Weather Service expects a foot or more of snow to fall from northeastern Ohio through the Canadian Maritimes. 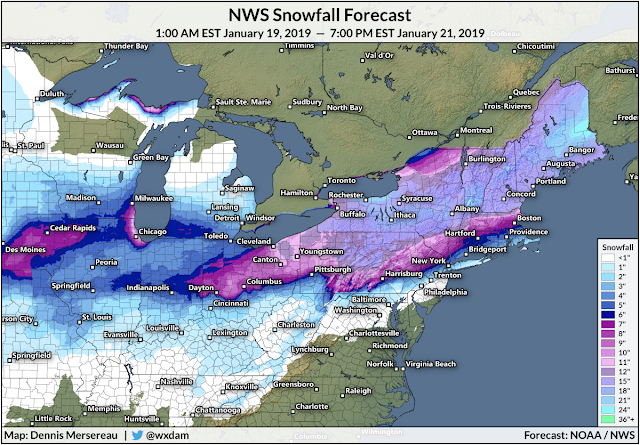 The heaviest snow will fall from central Pennsylvania through Maine, where snowfall totals of 18-24" are likely, with higher totals in higher elevations. Exact snowfall totals really stop mattering once you get this high up the yardstick, but in an instance like this, more snow will lead to a thicker slab of glacial ice encrusting the Northeast once temperatures plummet behind the storm. If you're wondering what's up with that weird bullseye of snow over the Chicago area, the NWS is predicting double-digit snowfall totals in northeastern Illinois thanks to an expected lake effect snow event on Lake Michigan this weekend. Models continue to suggest that one or more bands of north-south oriented lake effect snow will develop on Lake Michigan and blanket its southern shores with extra snow on top of what falls during the big storm. The main shield of snow with the storm is expected to continue through Saturday afternoon. There should be a brief lull before the lake effect snow picks up on Saturday night and continues through the day on Sunday. Back east, there will be a sharp cutoff between the rain and the snow. That's tricky business when the event will take place so close to so many major metropolitan areas. The entire I-95 corridor between Philly and Boston is close enough that it would only take a southward nudge of a few dozen miles in the storm's track to bring heavier snows into the major metro areas. Forecasters don't believe that's the most likely scenario at this point, but it's always worth keeping in mind that the cutoff of heavy snow isn't that far away. The transition zone just to the south of the snow will feature sleet and freezing rain for a period during the storm. The latest forecasts from local NWS offices show the possibility for a crust of ice from Virginia through Maine, with the most significant icing possible in western Maryland and southern New England. Those spots could see up to half an inch of ice accretion from freezing rain according to the latest forecasts, which would cause widespread tree damage and power outages. 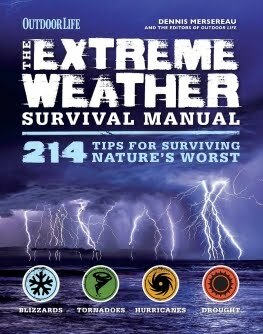 We had 0.30" of ice from freezing rain here in my part of North Carolina last weekend and some people in my town were without power for three days. Snow is bad, but ice is worse. Hundreds (if not thousands) of flights will be delayed or cancelled due to the combination of wintry precip, heavy rain, low visibility, and trickle-down effects from connecting airports. Rail service will likely be delayed or cancelled due to snow and ice. Travel by car will be nearly impossible in areas that see more than a foot of snow. I wouldn't be terribly surprise if we wind up with news of people getting stuck on the side of the highway when the heaviest snow starts cranking. The snow that falls won't go anywhere anytime soon. Temperatures are going to crash through the floor as bitterly cold air floods in behind this storm system. The freezing line will make it as far south as Florida on Sunday and Monday nights as the cold snap rotates through the eastern half of the country. Many communities in the Midwest, Great Lakes, and Northeast will see temperatures in the single digits and below zero for a couple of mornings. Monday will be the coldest day; highs on Monday will struggle to climb above zero in western New York. Temperatures this cold will freeze solid any snow, sleet, and ice through the middle of next week. It will be extremely difficult to remove lingering snow from solid surfaces once it gets this cold. We could also see a flash freeze on Sunday as the bitterly cold air washes over wet roads where most of the precipitation fell as rain, so keep the potential for unexpected black ice in mind if you're out and about on Sunday. We're heading into an active pattern for the final half of January. This is just the first round. It's too early to say what's to come, but it's certainly going to stay cold for most of us east of the Rockies.